the name chitarra is the Italian translation of the English name guitar. 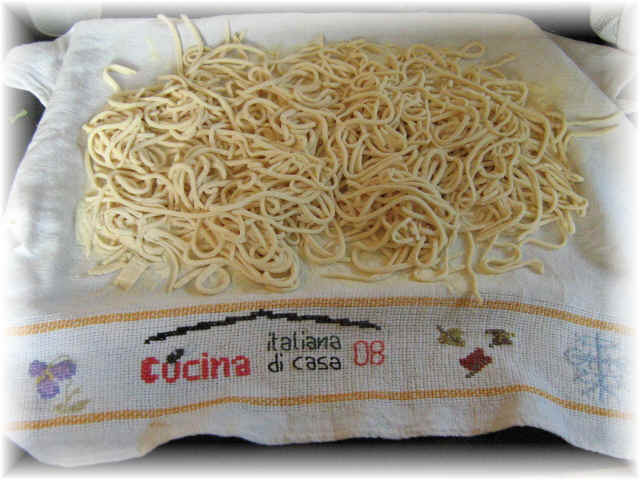 So spaghetti alla chitarra meaning is: spaghetti made with the guitar cooking tool. This name is because of the melody made by stretching the metallic wires of this tool, similar to the guitar sound. Should you not have it you can cut the dough with a knife, as for the umbrichelli. It will take only more time. The result are great squared spaghetti, which take the sauces very well and also very tasty. Notes to the recipe: as in a real guitar the wires of chitarra cooking tool for making pasta must be well stretched, otherwise it will not possible to cut the spaghetti well. It is always important to keep the homemade spaghetti floured as soon as made, in this manner you avoid them to stick before cooking. 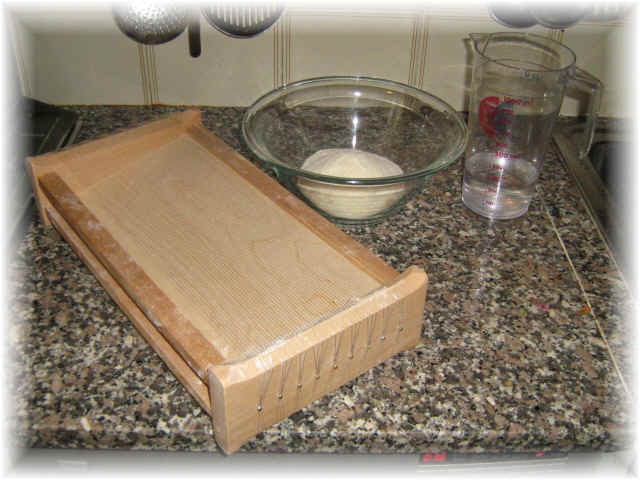 The alla chitarra pasta is made with durum wheat semolina flour.